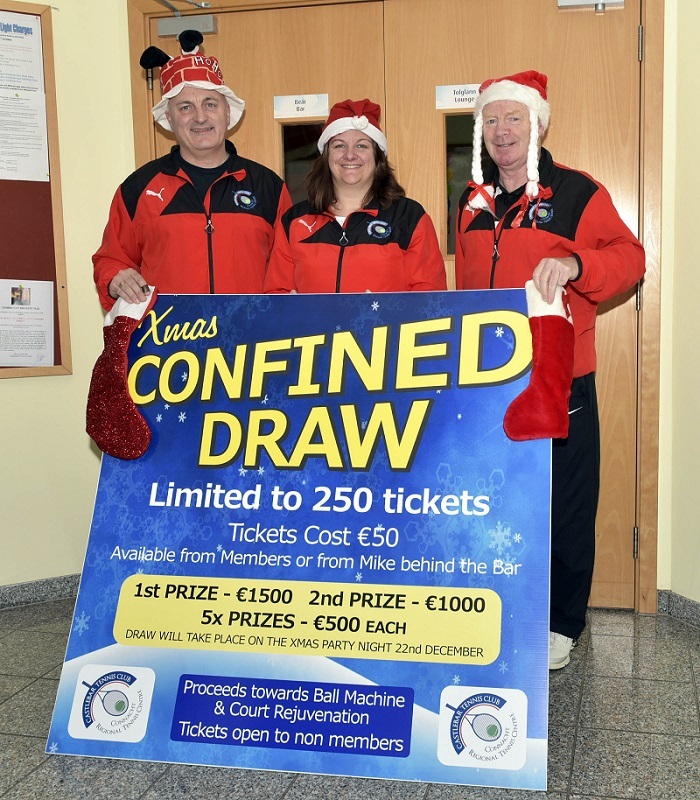 Castlebar Tennis Club have launched their Confined Christmas Draw which will take place on 22 December. Tickets cost €50 each. All ticket holders are invited to attend the draw on the 22 December in the Clubhouse. This is a confined draw with a maximum of 250 tickets so you'll have a great chance of winning one of the following prizes. Remember if you're not in, you can't win! Pictured at the launch of Castlebar Tennis Club Confined Christmas Draw which will take place on 22 December Tickets cost €50 each. L-r Pat Conlon, Noreen McNamee, Chairperson, Donie Coleman. Photo Ken Wright Photography 2016.